We had a blast on this mountain on the Beach Day celebration, the staff was friendly as where the locals. They had the best barbeque, the lift lines where short, and the powder was great. Says Anderson. 3 good ski lifts are skillfully kept up and run by pleasant people. The nearby rooms are a bit away from the base zone, but you'd better book before you go because these rooms fill up fast. You may be into skiing or snowboarding, or both, doesn't matter, there are not so many other perfect ski hills for that around here. 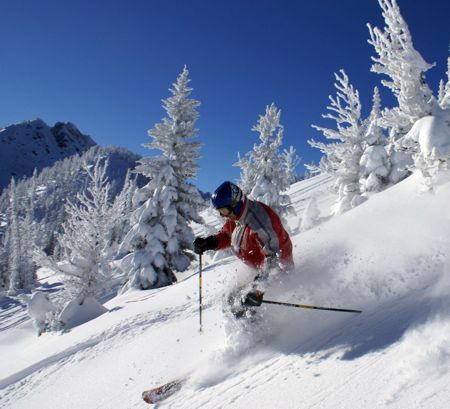 The pretty surroundings of the Oregon highlands and the great sensation of coasting down the trails are great attractions for many snow skiers. In wintertime the Blue Mountains is an incredibly fine place if you like skiing and snowboarding. 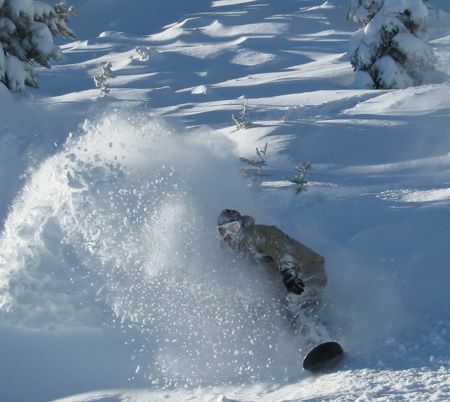 The skiing and the snowboarding in Oregon is a good thing to do all winter season long. A bit of exercise and getting out of the house for a while have ski people coming here. The snow blanketed summits of the Blue Mountains give this ski mountain an incredibly fine view. 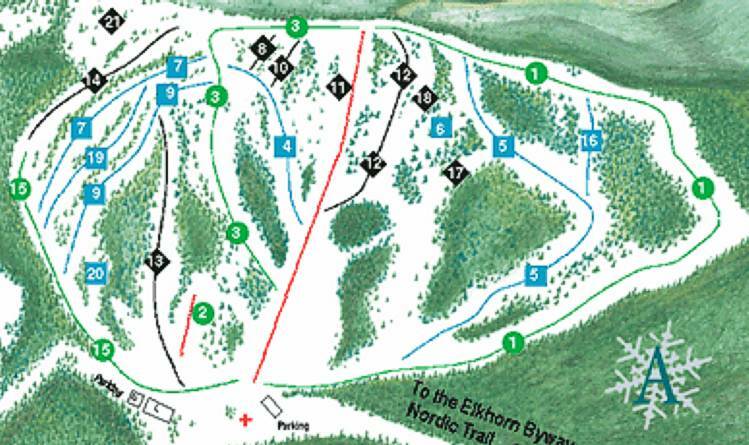 There's a ski run map of Anthony Lakes on this net page for your reference. Special features: We also have 33 km of groomed, track set trails for Nordic Skiing. 60% Expert, 26% Intermediate, and 14% Beginner. Description of Anthony Lakes ski area submitted by ski area management. These outdoors activities are available near Anthony Lakes ski area.